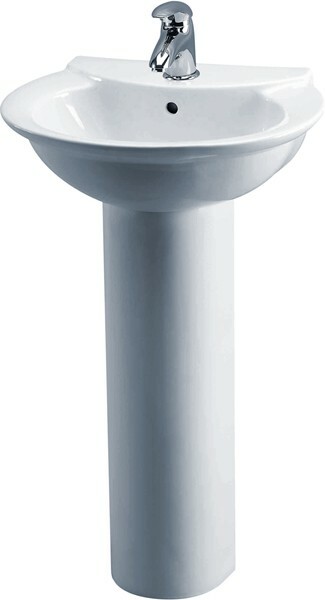 Crown Ceramics > Otley 500mm Basin & Pedestal (1 Tap Hole). 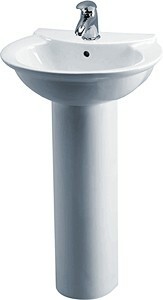 Otley basin and pedestal with 1 tap hole. Size 500W x 365D x 800H mm. Size 500W x 365D x 800H mm. 5 Year guarantee: Crown guarantee this Otley basin and pedestal for 5 years.